Continuing my series about my favourite things, this week it's my favourite perfume. I love perfume, I adore going into a shop and sniffing my way round a selection of heavenly scents, but the romance is always short lived because I am a one fragrance kind of girl. When I was a teen someone told me that fragrance should be like your signature, you pick one and stick to it and people will come to know and recognise you for that scent. I was sort of besotted with the idea of this and I carefully picked out a perfume that could be my "signature". That very first pick was Kenzo Flower, and I fell in love and wore it for many years until the smell started to make me feel sick. 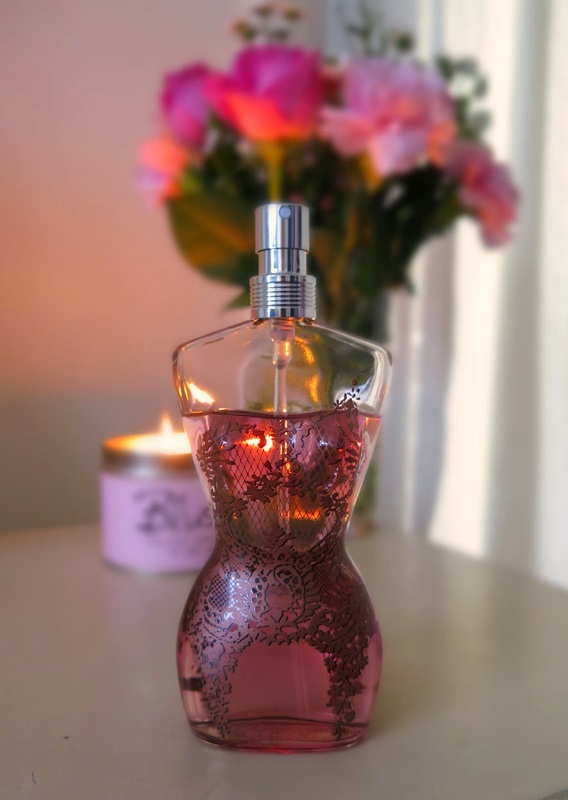 I dabbled with a little Thiery Mugler Alien, and although I loved it, the fragrance just didn't stick around on me long enough so I abandoned the idea very quickly and moved on to my latest love affair. I had always liked Jean Paul Gaultier Classique, but for some reason had never bought any. I love the deep warming fragrance and strong vanillary notes that it has, and although the top note is apparently rose (which I am not a fan of) I would never describe this perfume as a rosy scent. The base note is sandalwood which is another smell that I find comforting which I guess is why I love this so much. I have been wearing it for over 2 years now and have no plan to change it any time soon, I douse myself in it every day and love to breathe in the heady scent from my hair and clothes, yes ok that sounds a little strange, but hey it's true! It is always a welcome Christmas and Birthday present as I get through it rapidly. What is your all time favourite scent? Are you a loyal lover of a scent, or a fickle fragrance changer?